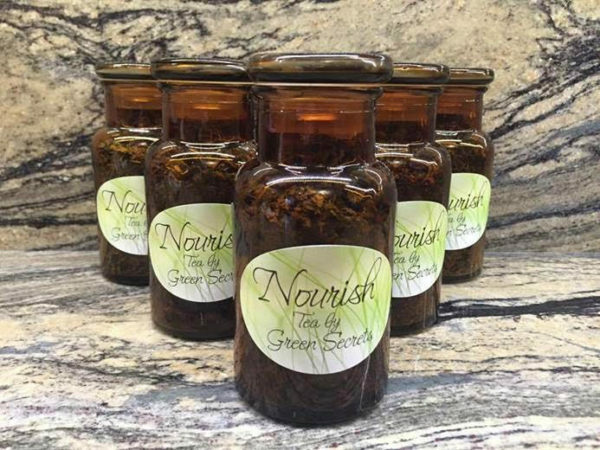 Nourish tea is my Naturopathically formulated blend of 6 ‘power’ herbs designed to support the health of all your major organ systems and enhance your overall health and wellbeing. This mineral rich organic herbal tea blend not only tastes amazing and can be enjoyed daily, but it’s good for you! The herbs have been specifically chosen to Nourish your mind, body and soul. Nourish tea acts as a natural metabolism booster, natural diuretic and weight loss aid, digestive soother, hormone balancer, anti-ager, anti-inflammatory, immune builder, anti-viral, anti-histamine, anti-septic, blood cleanser and all-round natural tonic.